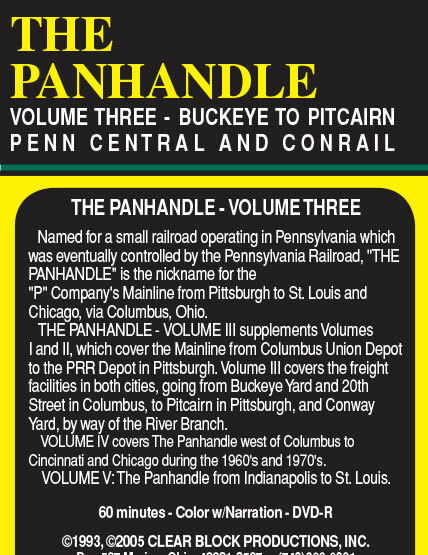 THE PANHANDLE - VOLUME III supplements Volumes I and II, which cover the Mainline from Columbus Union Depot to the PRR Depot in Pittsburgh. 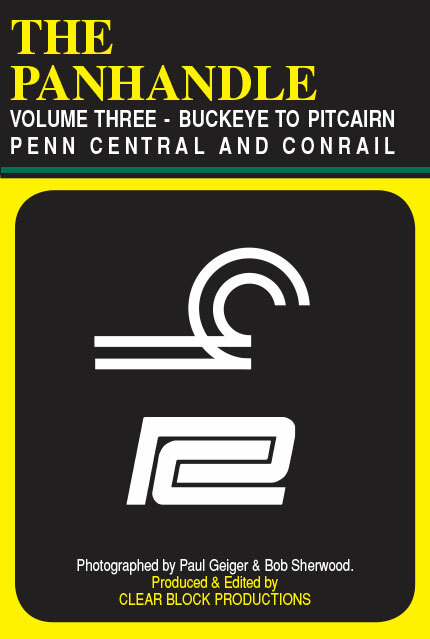 Volume III covers the freight facilities in both cities, going from Buckeye Yard and 20th Street in Columbus, to Pitcairn in Pittsburgh, and Conway Yard, by way of The River Branch. Also, many Alcos are seen in the Mingo-Steubenville area. Award Value: 134 Points Earn points for free DVDs. Signup free. Some of the DVDs or Blu-rays from this producer are manufactured using DVD-R or BD-R material. This producer chooses not to shrinkwrap most of their products. All the products we sell are brand new direct from the producer. We never sell used or second-hand products.